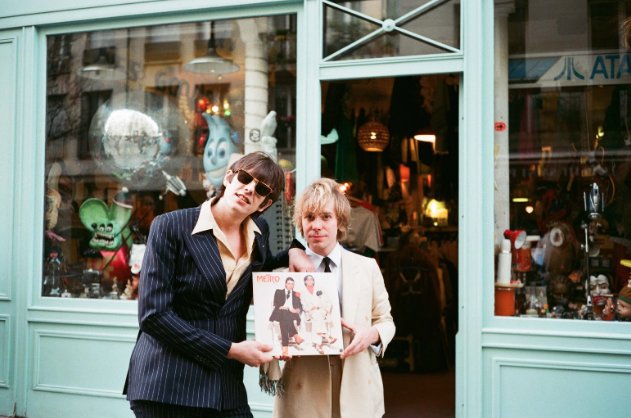 French pop band PAPOOZ has shared their video for their enticing single ‘Theatrical State Of Mind’. The single features on their brand new album Night Sketches, which was released on March 8th. Directed by Pablo Padovani, the video was inspired by a dream Armand Penicaut had about his bandmate Ulysse Cottin. Filmed at Château De Tanlay, they said on the video, “Ulysse le Sévère, the bloodthirsty King of Burgundy invites a couple of twin minstrels to play music in his castle. Just when you think you're safe...you're in more danger! A French tale of revenge, lust & forgiveness”. Listening to ‘Theatrical State Of Mind’ will send you into a sea of endless grooves and each moment is pure bliss. If you’re in London, you can catch them live at their headline show at Oslo on April 9th. Let’s keep our fingers crossed that they’ll make their way to Australia very soon.